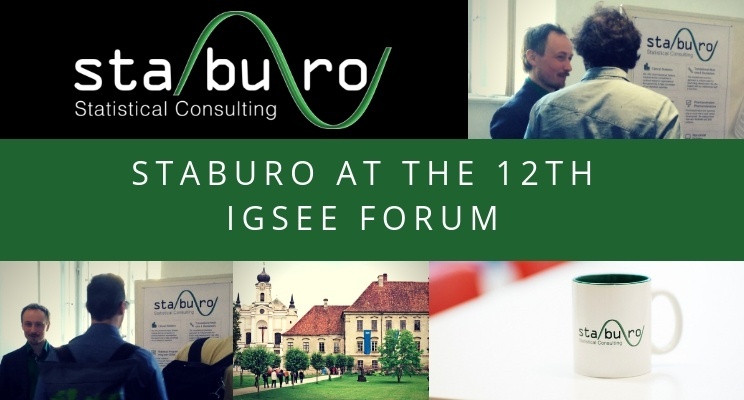 Staburo participated at the career fair that was organised by the International Graduate School of Science and Engineering (IGSSE), at the TUM Science and Study Center in Raitenhaslach. The IGSSE, which has won the German Excellence Initiative twice, stands for innovative research and has very close contacts to international research partners. Dr. Michael Matiu introduced Staburo to the plenum and presented our biostatistics focus topics. Michael was afterwards available, as discussion partner at the fair. The exposition was organised, to provide network opportunities for highly qualified young researchers within academia and with industry partners, like biostatistics expert company Staburo.